Madison from Splash is one of my favorite mermaids EVER! I haven't read a lot of books on mermaids so this book would be refreshing to read. And yes, I'm a fan of mermaids. Thanks so much to everyone entering, and thanks to Ashley for such an awesome event! Yes, I am a fan of mermaids. I have been since I was little. I used to carry around a small mermaid doll, it had a orange tail/fin and white hair. I still have it packed away with some other special toys that I liked as a child. Beautiful cover! This story sounds amazing... I've been looking for a mermaid book for a while! Yes! :) I love mermaids. I just love books about mermaids! There is never enough of them! Am I a fan of mermaids? Yes indeed! The Little Mermaid is my favorite Disney movie (doesn't Jodi Benson sound absolutely gorgeous when singing Part of your World?) and sadly, there's not enough books about mermaids these days. 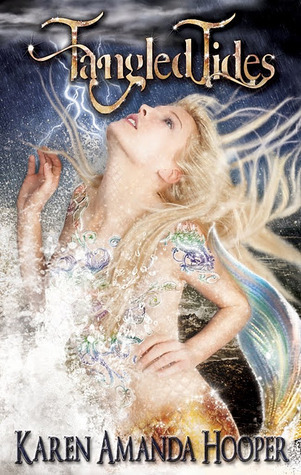 Thanks for the giveaway, and the cover for Tangled Tides is absolutely gorgeous!